Here are a few updates from the site. I've created a new section about Neil's prose writing called Catalog of Neil Peart's Writing. My goal with this page is to list everything that Neil has written for magazines, newspapers, websites, and other media -- even if I don't have a link to the article or story. If the article exists online, I've included a link to it. In addition, you can download an Excel file of the list if you want to sort the columns yourself. Thanks to Cygnus-x1.net, Power Windows, and NeilPeart.net for making most of these articles and stories available online. One new postcard posted to the Postcards from Neil section. Thanks Jeff T! I updated the Snakes & Arrows section with Snakes & Arrows 2008 tour dates. I've also created a tag on my del.icio.us site for 2008 tour information. 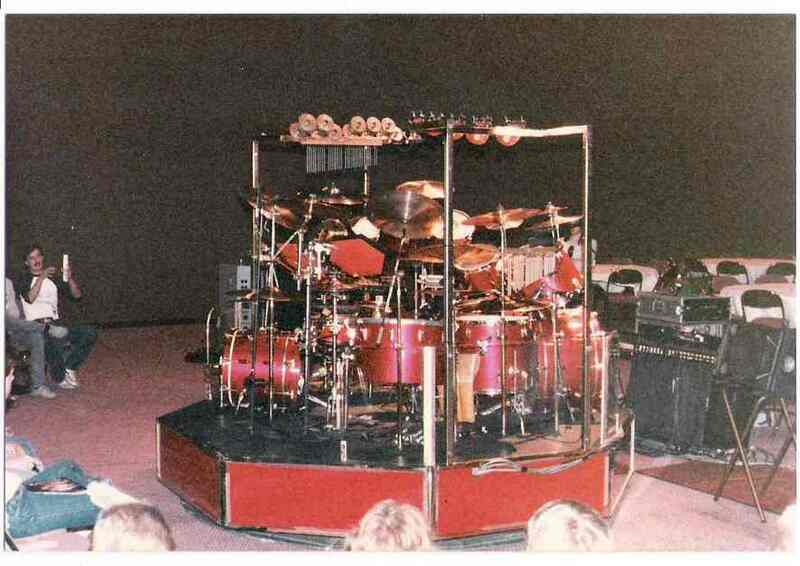 Rushisaband recently posted some very rare photos of Neil's Fort Wayne, Indiana, drum clinic. I've also posted them to the 1990-1980 gallery section of my website. Thanks RIAB webmaster Ed and RIAB reader karissas1fan for the photos.